N59154, a Boeing A75N1 or PT17, flies over Minter Field in California's Central Valley near Bakersfield. 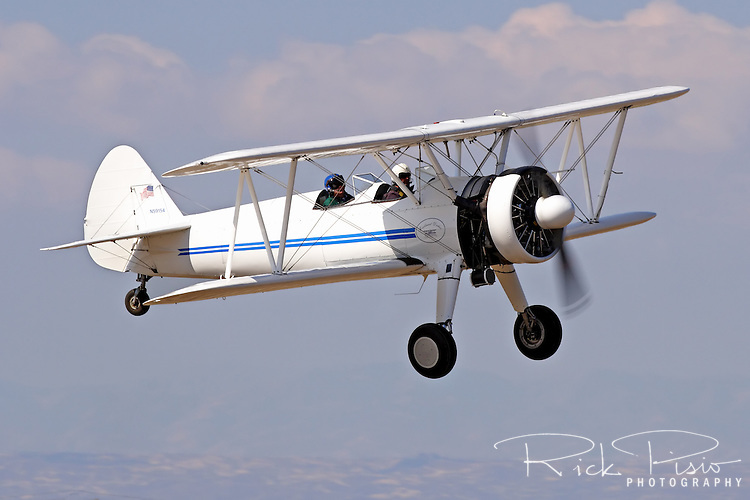 Boeing built 8584 of the Stearman's many of which where used as primary trainers for the Army Air Corps. Known both as the Stearman and Kaydet many surplus aircraft were sold and used as sport aircraft or cropdusters.